Hi guys, it's me again from Frankwealth Team. 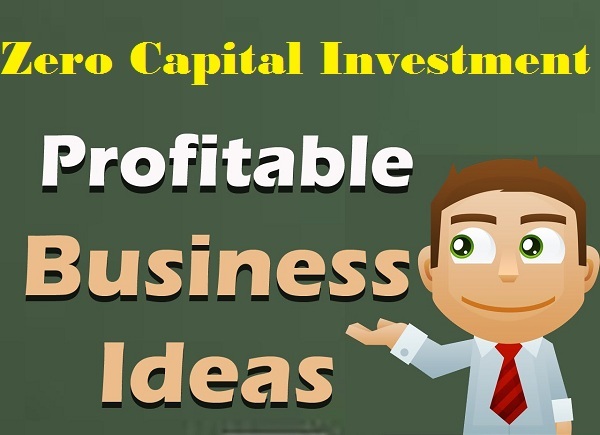 This is a follow up topic on our previous article on 10 Profitable Business Ideas You Can Start with 20k, which got lots of positive feedback from our fans on facebook, Twitter, frankwealth website, and even nairaland, so we have decided to publish another in-debt article on profitable business ideas you can start offline without spending a dime, to help those writing to ask for such ideas. Note: everything we write about or publish on our eBooks are practicable and success-proven based on our money making experience. 1. Marketing Company: after we published our first article (if you missed it, you can still read it HERE), we received like 10 messages from different people that wrote to confirm that they are currently making huge profit from this business, even on the forum thread we shared it, so try it. You don't need any startup capital, all you need is a convincing power to get people to buy the products you want to market to them. This is similar to the first idea but with eCommerce twist, you will be making more sales than others. Actually, I am doing this...I have done this many times and I can boldly tell you that it's a goldmine if you get it right. How to get started? Identify a business niche or product, then locate the wholesalers or importers and approach them with a deal to get buyers for them at a discount price. If for instance, they are selling ₦5,000 to retailers, broker a deal for them to sell to you at say ₦3,500 while you make ₦1500 profit per sale. You don't need to buy any of the items until you get a buyer, so what you will do is to get the pictures of the items and upload on Facebook, online stores and put your own price, and once you get sales, you rush to your drop-shipper to get it and send to buyer and keep your profit, no loss. If you want more details, this has been well explained in our eBook with other eye-opening business secrets you need to know. Without exaggerating, I have made nothing less than $2500 from this since the past 3 years. Note: it's not like the Linda Ikeji type of blogging, nope, you will be blogging on existing article sites with large reader coverage. Your article must have good paragraphing, free of copyright (that means you are the original owner and writer). How you will earn money from the articles? If you don't have google Adsense account, it is easier to get one from this method than through normal blog. I used this to make some fast cash. If you are broke and need fast money, you can make money with this. This is a blackhat method of raising startup capital for your main business and shouldn't be considered as a permanent business...so I won't be going into details about it here, if you need the info, contact me and I will give it to you free. Information they say is power, and reason many people are poor or broke today is not because they don't have talent or skill, but it's because their talent and skill are wasting due to lack of adequate information on how harness their talent and skill. Some ladies are wonderful cooks whereas many ladies are desperately searching for how to learn cooking, why not leverage on this your skill by teaching those ladies how to cook in exchange for money? Are you waiting for God to come down with portfolio of money to give you before you know that God loves you? Thank God for creative white guys who out of their curiosity to help people succeed while succeeding too, created online platforms where you can organize people to learn what you know how to do from you. Do you know how to sing, how to write songs, how to play guitar effectively, how to mix songs, how to play musical instruments, how to some rare things, then you can make money without spending a dime. Think, think! I am doing this presently, and I have plenty students foreign students who have subscribed for my lesson on something most of you would laugh at, but some people want to learn how to do this nonsense thing I know, that's life. This is similar to the above method but the difference is that you will be doing this one offline, and please take away shame or shyness or pride if you truly want to succeed in life. Forget about Anita, Anne, Rosita, Bolanle, Chioma, Aishatu and Onome seeing you and do your thing because once you succeed financially, the same Anita, Chioma, Bolanle and Aishatu will be the ones jumping around you for love. If you are a corper, organize your fellow Corpers and start a tutorial class for JAMB, WAEC, GCE, NECO candidates and tell people to tell others about your new business. I did this while serving as a corper and I made some pocket money....though our challenge was that the students down where I served hated anything schooling, so only few subscribed, but we never gave up. If you do this in a more enlightened city or community, you will make more money. We will soon launch our own unique money making scheme that young people can easily subscribe to for free to make money by marketing hot-selling items from wherever they are and earn commission on sale. So watch out if you want to be among the first beneficiaries.